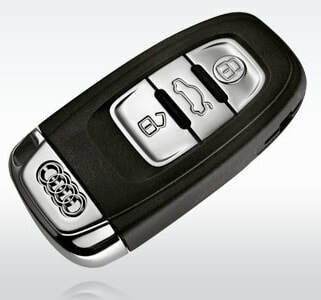 Audi use specially encrypted keys that are produced specifically to the VIN number. They are pre-programmed with a special code known as 'Component Protection'. Because of this, making replacement keys for Audi cars is extremely difficult, as it is not as straightforward as just using a standard blank key . However, for most models, we have the ability to calculate the Component Protection data and produce 'dealer keys', which allows us to program blank remote keys from our stock. No more waiting 7 - 10 days for keys from the dealer! 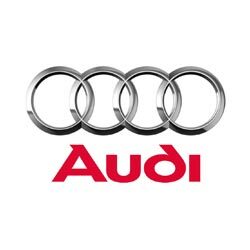 ** Models with 'keyless go' will require the key to be ordered from Audi. 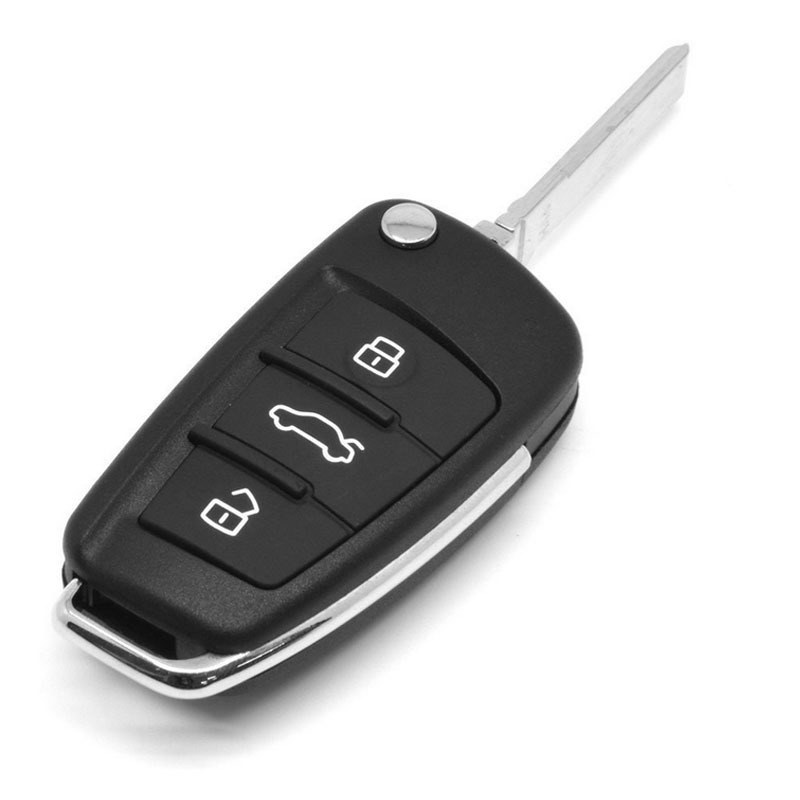 2 or 3 button remote key for your Audi. Supplied, cut and programmed at the vehicle. Offered with a 12 month warranty against electronic failure. 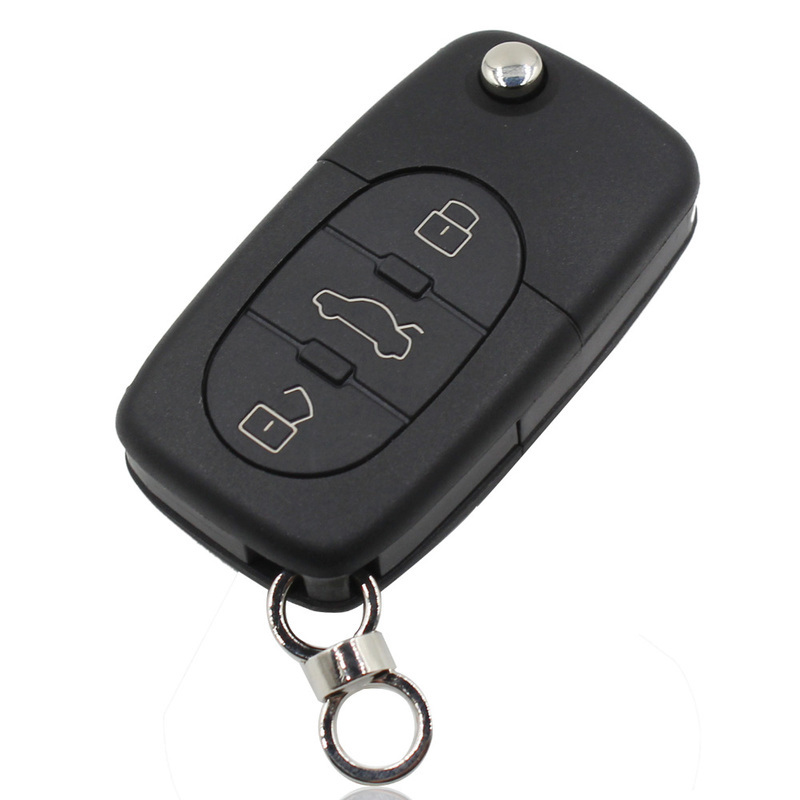 3 button flip remote key for your Audi. Supplied, cut and programmed at the vehicle. Offered with a 12 month warranty against electronic failure. * Not all variants covered. 3 button dash insert remote key for your Audi A4 / A5 / Q5. Supplied, cut and programmed at the vehicle. Offered with a 12 month warranty against electronic failure.